Heard about linked data, but think it’s something that exists only in libraries’ futures? Not sure how linked data can help you, your library, and your community in the present? 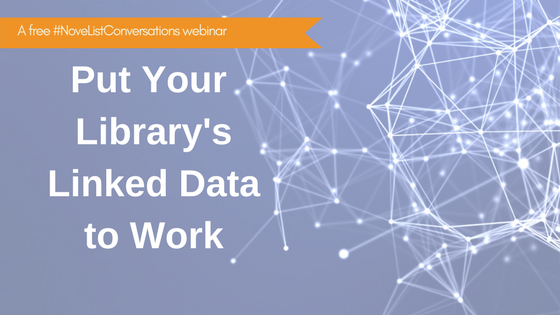 Join NoveList for a free webinar and hear from three libraries who have invested in linked data and put it to work, saving them time, and getting their resources out on the web, where their users are. Robert Rua is a retired dungeon master, musician and avid Cleveland sports fan. As Assistant Director of Marketing & Communications for Cuyahoga County Public Library he leads an awesome communications team responsible for digital and traditional marketing. Andrew Tadman is the Reference Coordinator for the East Baton Rouge Parish Library system. He also organizes the annual Baton Rouge Mini-Maker Faire. In his spare time he blogs about horror books, and is the book reviewer for Scream Horror Magazine. Maureen McDonald works for Suffolk Cooperative Library System as the Special Projects Supervisor focusing on marketing and data analytics. She has been a member of the Linked Data team at SCLS since they joined the LibHub Initiative and then continued as a development partner with Zepheira. 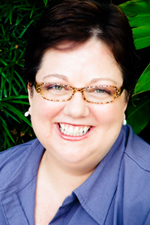 She also participates in the LibHub Alumni Assessment Team.